Running in Madison, Wisconsin. The best routes and places to run in Madison. 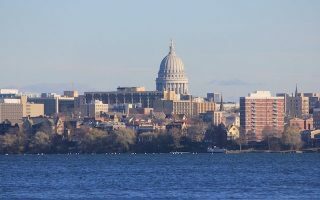 Madison, the capital of Wisconsin, is an eclectic college town seated on the isthmus between lakes Mendota and Monona in the south of the state. 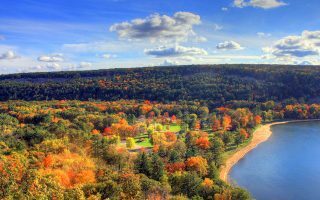 It’s cultural feel is largely influenced by the University of Wisconsin and the surrounding beauty of the Wisconsin woods, lakes, and prairies. It’s a city that takes its outdoors seriously. With bustling central streets, gorgeous waterfront neighborhoods, extensive bike paths, and nearby natural spaces, there are plenty of options that make running in Madison a particular treat. 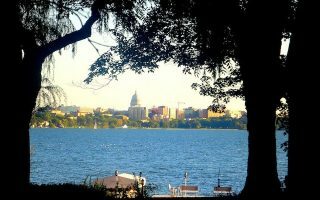 Some of the best places to run in Madison include the loop around the University of Wisconsin Arboretum, the loop around Lake Monona, and the beautiful Mendota Lakeshore Path to Picnic Point. Runners can also explore downtown and the surrounding neighborhoods with the State Street, Yahara Parkway, Capital City Trail, and Maple Bluff routes. 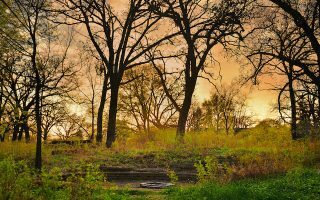 Or, get outside the city and find fresh air at Pheasant Branch, the Military Ridge Trail, the Glacial Drumlin Trail, or Devil’s Lake. Madison is not a large city, so getting around is fairly simple. The only form of public transport is the bus, which runs pretty extensively throughout the city center and will deliver you to most of our central routes. Running routes outside the immediate city may require renting a car. Better yet, bring a bike and use some of our rail trail routes to expand your route options! Another asset of the University of Wisconsin is the 4 mile Lakeshore Path, which hugs the shores of Lake Mendota, circling University Bay and reaching out towards Picnic Point (great views!) and then Frautschi Point. Combo paved and gravel, wooded & open. This large lake to the south of Madison is one of the top local destinations for a run of any length, whether it’s a quick 3 mile jog around the bay, or a long 11 mile loop along the entirety of the lake. 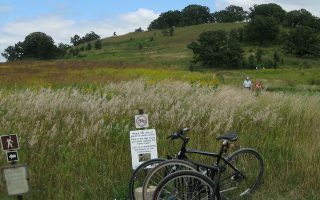 One of the best bike paths in the Madison area, this 17-mile route winds through the forests and prairies of southern Madison and its suburbs. The 6-mile section from Capital Springs State Recreation area to Gunflint Park is great for running. 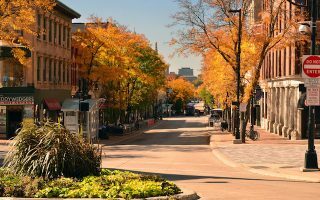 For a great tour of downtown Madison, runners flock to this busting 1.9 mile route down State Street, the University of Wisconsin’s main drag for arts, eats, and entertainment. Part of the run is through campus. Can be combined with other nearby routes. Madison is the city between two lakes, so why not explore both shores with this 5 mile loop around the spit of land that runs between them? This is a pleasant run using combination of paths and residential side streets. 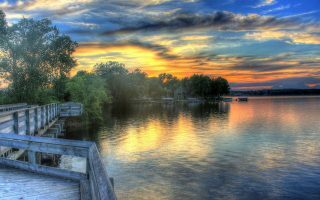 A hilly route through one of Madison’s nicest neighborhoods, this 3 mile run along the banks of Lake Mendota is a beautiful tour of the local waterfront properties. 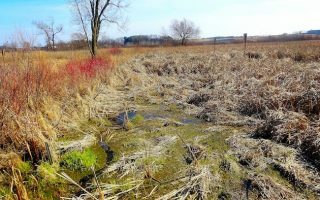 Located on the west banks of Lake Mendota, this is a taste of the Wisconsin natural environment, not too far from the city. The main loop plus Frederick’s Hill overlook is ~4 miles. Mainly wooden boardwalks over marshes and gravel trails through grassy prairies. 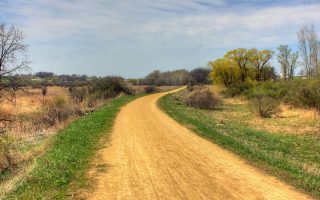 This 40 mile asphalt and crushed limestone trail is a former military marching route which connects Madison to Dodgeville in the west. One of the coolest sections to explore is where the path passes through Blue Mound State Park (about an hour outside the city). This 52 mile rail trail starts in Cottage Grove (11 miles east of Madison) and runs east all the way to Waukesha (just outside of Milwaukee). 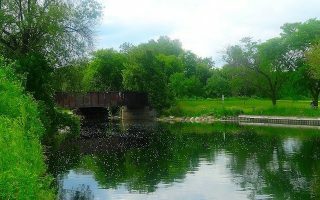 One of the most interesting sections is near Lake Mills and Korth Park. Trail map with segment distances. Adventure seekers looking for a challenging trail run just outside Madison should look no further than the Devil’s Lake Loop, an hour northeast of Madison in Baraboo. The best trail for running is the 6.2 mile loop around the lake. The weather in Madison is that of extremes. Summers are warm to hot, with temperatures well into the 80s (28C) in July and August. Autumn is gorgeous but short. Winters are cold to frigid, with average high temperatures in the 20s (-4C) and nights that tip into the teens and single digits. Runners should plan for cold, and snowy/icy conditions in winter. 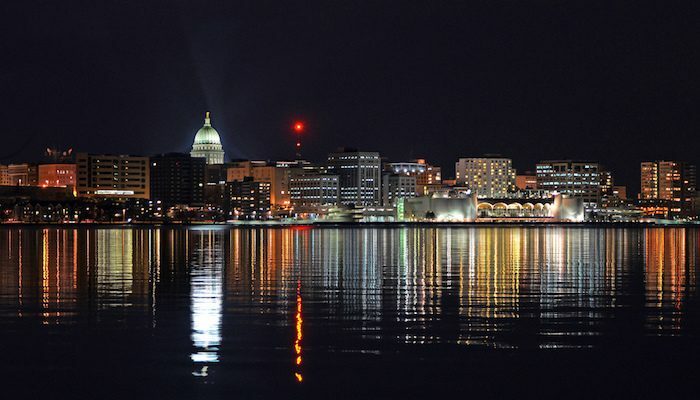 There’s a good cluster of hotels in the downtown area, near the University and in proximity to the best lakefront and other paths in Madison. Especially if you don’t have a car, try to stay in this area. There’s another cluster of hotels off of I-90 near the airport, but the running options aren’t as good there. 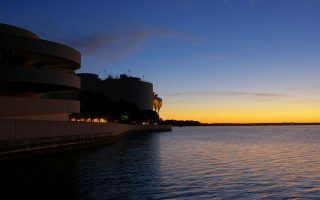 Check out VisitMadison.com for accommodations. Endurance Sports House. Great location on State St. Gear for running, triathlons, other sports. Group runs Thursdays 6pm. Additional running group information. Fleet Feet Sports Middleton. Group running information. Check out Fleet Feet’s list of upcoming races here.